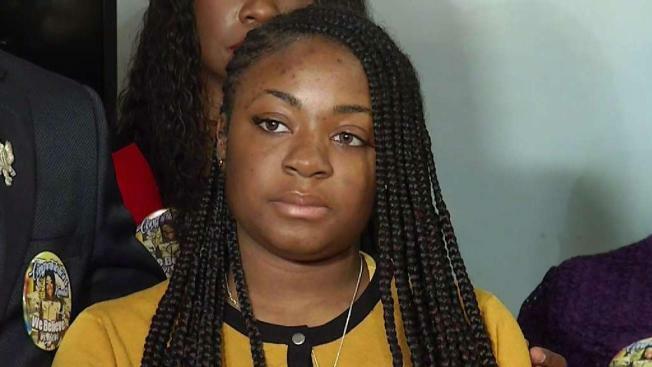 Kamilah Campbell is speaking out to defend her SAT score after officials say her 300-point increase could be evidence of cheating. NBC 6 anchor Dan Grossman reports. A South Florida student is speaking out to defend her SAT score after testing officials say a 300-plus point increase could be evidence of cheating. In the span of seven months Dr. Michael Krop Senior High School student Kamilah Campbell took her score of 900 and turned it into a 1230 in hopes of attending Florida State this fall. To her, it's evidence of her hard work, but the Educational Testing Service, which administers the SAT, is skeptical of its validity. The ETS recently wrote Campbell a letter saying her scores are invalid because some of her answer patterns were too similar to those of others who took the test. Campbell challenged the allegation, submitting a letter from her tutor as well as the names of the books and online materials she used to prepare. Campbell says it's not just an attack on her intelligence, but on her integrity and character. "Students go through a lot, you guys may not see it but in high school it's a lot of pressure especially with classes, homework, and then on top of that you have to study for this test on top of your other homework, on top of other tests that you get while you're already in school, so you're putting forth a lot of hours," Campbell said at a news conference Wednesday. "And to have your effort taken away from you and them saying, 'Oh, well we think you cheated.' It's not fair." The timing is important. Florida State's deadline for scores was Tuesday, but Campbell will remain in limbo until the issue is figured out. It's unknown how long the process will take but Campbell said she feels like her shot at school is in jeopardy as most of her friends have submitted their scores. The College Board, which works with ETS to administer the SAT, said they can't comment on the specific facts of an individual student's scores that are under review. "Working with ETS, our test security and administration provider, we place test scores under review when statistical analyses and other factors determine it is necessary," The College Board said in a statement. "When scores are under review, we work directly with students to collect relevant information and make determinations about the validity of the test scores following a comprehensive investigation of the evidence. We do not cancel scores based on a score gain alone; we will only cancel scores after we are confident that there is substantial evidence to do so."